Speech is the sounds produced by alterations of the vocal apparatus to shape air expelled from the lungs. Speech is the sounds produced by the coordinated use of the voice and articulation to construct words that convey meaning, i.e. the sounds of a particular language. Speech is the primary medium through which human beings communicate through language. Speech is a learned system of communication. All of these are correct but no one definition captures the entire essence of what is meant by speech. Most of us, however, probably feel that we know intuitively what is meant by speech. After all, we all speak don’t we? Isn’t it one of the most natural things humans do? Well, yes, for most people speaking comes naturally and yet it is a process that the majority of us are unable to explain. If you were asked to describe how you produce the sound ‘r’, as in the word rabbit, would you be able to do so? It is not such a simple matter. Phonetics is the study of speech sounds: their physical properties, how they are produced by the vocal tract, and how people perceive these sounds. 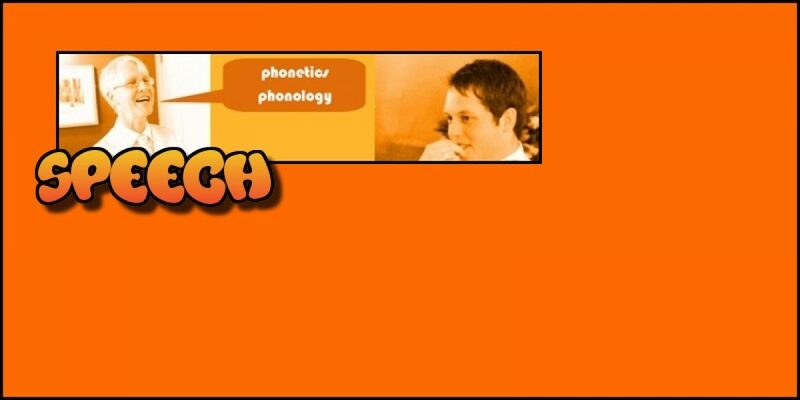 Phonology is the study of the systematic organisation of speech sounds in languages and of the rule system that governs how particular speech sounds are used to produce meaningful words.